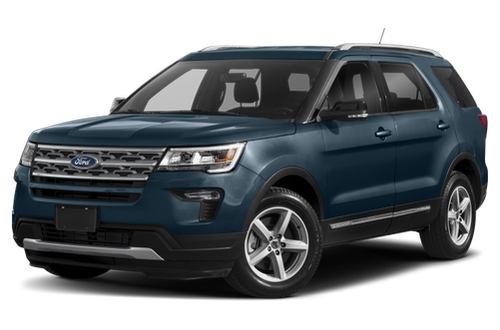 Have You Driven the 2019 Ford Explorer? I'm 6'4" and I still have plenty of room. It has all the current technology "bells & whistles" yet the controls/switches are conveniently located and simple to learn and use. The 2.3L Ecoboost engine is amazing. The salesperson never mentioned what size the engine was prior to our test drive and I was shocked to later find out it was a 4 cylinder having 'assumed' it was a V6 based on it's test drive performance. I'm now a 4cyl Ecoboost convert. Fuel economy is good and the best part is the engine does not shutdown/restart when stopping in traffic like the 2019 Chevrolet Traverse did that I had purchased 2 days before and returned the same day upon discovering the engine would automatically stop/start when stopped in traffic. A feature that could not be bypassed and a feature me and my wife would not tolerate. Completely satisfied with the looks, quality, drivability ,and price of our Explorer Limited. This car took care of all of the things I need in a car , Couldn't ask for more , This car has the sport look I love but, when you drive it you feel like your just floating in the air you dont feel all the bumps in the road like in other trucks I've had. Second Explorer... 19 years apart! We owned our first Explorer (2000) for 18 years. In between then and now we purchased two BMWs (‘03 sedan and ‘12 SAV) and an ‘05 Jeep. After the arrival of three grandsons in 25 months I decided I needed something with a little more room and a third row. After “building” a new BMW x7 (sight unseen) and a new Explorer online there was no comparison in price. For essentially the same function and >$30k difference, the smart money is on the Ford. The 2020 Explorer is a model reboot, so this one has been around for awhile, it’s tried and true, and I don’t need the latest and greatest in everything. This Explorer reminds me a lot of my daughter’s big 2019 Range Rover. It’s not as stylish or plush as either the Rover or BMW, but for hauling estate sale purchases and little boys it goes a long way... Ford has a lot of things right in this vehicle, which is why the Explorer is the best-selling SUV in the U.S.
We loved our 2016 Explorer so much, we traded it in for a 2019. These are the best SUVs we've ever driven. They look sharp, are so comfortable inside, and the new upgraded tech make them nearly flawless. Love! Well must say Ford came a long way , i am a sales rep so every 4 years get a new vehicle, Use to drive Ford Windstar , Expedition , Love my Explorer The whole vehicle is unbelievable . Ford World Class !!!!! Beautiful vehicle inside and out. I love the room and that it seats up to seven passengers comfortably. Safety package was very important. Second time leasing an Explorer, and love them both. Towing package is a plus. Love the Burgandy Velvet exterior and the Medium Stone Gray interior. Awesome vehicle. Perfect vehicle for a family! I have 3 boys and needed plenty of room, the Explorer is perfect for us, the interior is so nice, and we are very happy! So far this vehicle is the best ford we’ve owned. The power of the twin turbos along with the luxury features is amazing. I recommend everyone to test drive one if your in the market. I really liked Ford Explorer. I really liked Ford Explorer. I would add a bit more noise insulation, more expensive inside the salon department. added $ 1000 for this and the car complied with 100% of my requirements.